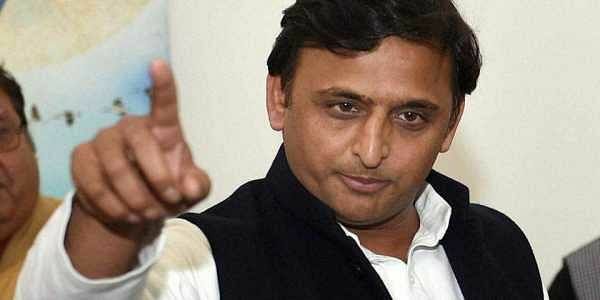 Samajwadi Party president Akhilesh Yadav today accused Uttar Pradesh Chief Minister Yogi Adityanath and his ministerial colleagues of offering allurements during campaigning for the ongoing polls. LUCKNOW: Samajwadi Party president Akhilesh Yadav today accused Uttar Pradesh Chief Minister Yogi Adityanath and his ministerial colleagues of misusing government machinery and offering allurements during campaigning for the ongoing polls. "There is misuse of official machinery in the ongoing poll process... BJP leadership is openly violating the model code of conduct and harming the chances of free and fair elections," Yadav said in a party statement released here. Yadav alleged that the Election Commission turned a blind eye even after doubts were raised over the EVMs being used in the civic polls. "The chief minister and his ministerial colleagues are offering allurements like lakhs of jobs to the youth, roof over heads of all, free power connections and street lights during their election meetings... Will these efforts to woo voters not effect the impartiality of the polls," he asked. The former chief minister said that efforts were being made to divide the society into the lines of caste and religion. The SP chief said that the BJP government has not fulfilled any of its promises, law and order were in a dismal state and women were feeling insecure.